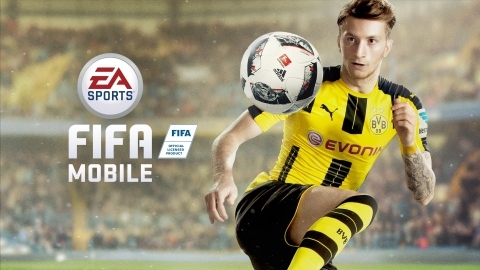 "When developing FIFA Mobile, we focused on giving players the most exciting parts of football in quick and fun bursts while prioritizing gameplay and engaging, new ways to play FIFA on-the-go"
REDWOOD CITY, Calif.--(BUSINESS WIRE)--Electronic Arts Inc. (NASDAQ:EA) today announced EA SPORTS™ FIFA Mobile is available worldwide* as a free download** on the App Store℠, Google Play™, and Windows 10 Store. FIFA Mobile is made for players looking for a quick, fun, accessible football game, while still offering the depth of modes and presentation synonymous with the EA SPORTS FIFA franchise. Players can compete with their favorite stars, leagues and clubs in an unrivaled authentic football experience. Featuring new, platform exclusive ways to play like Attack Mode, daily events based on stories and matches happening around the globe, and an innovative approach to squad building, FIFA Mobile delivers a fresh approach to football on mobile. Watch the FIFA Mobile trailer here . Download FIFA Mobile here . For more information on FIFA Mobile, visit Twitter, Facebook, or https://www.easports.com/fifa/fifa-mobile. EA, EA SPORTS, The Sims, Dragon Age, Plants vs. Zombies and Battlefield are trademarks of Electronic Arts Inc. and its subsidiaries. John Madden, NFL, PGA TOUR, NHL, NBA, UFC and FIFA are the property of their respective owners and used with permission.